Alternative weight loss therapies won’t help you to lose weight on their own but they can be very useful in helping you to stick to a diet. Most alternative therapies help to relieve stress which is often a root cause of weight gain. There is little clinical research to evaluate the success of alternative weight loss therapies and the success is often dependent on your approach. If you believe the therapy could work, you’re in a good frame of mind to make it a success. Acupuncture is a Chinese treatment that has been practised for thousands of years. Acupuncture treatment involves inserting very-thin needles being inserted into the skin in one or more parts of the body. Acupuncture may help you to relax and also the breaking of the skin can produce endorphins which can help suppress appetite and craving. Acupressure is relatively similar to acupuncture but does not involve any breaking of the skin, instead hands, elbows or objects may be used to stimulate areas of the body. 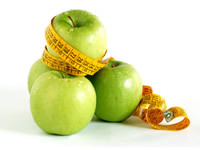 Hypnosis helps to remove some of the barriers that can make weight loss difficult. Hypnosis can remove some of the ‘unconscious thoughts’ that may be hindering your chances of sticking to a diet. If you wish to visit a hypnotist, choose one who has been approved by a professional hypnotherapy body. There are also options available for you to practice self-hypnosis by books, CDs along with other communication and support options. Ayurveda is a traditional form of medicine practiced in India. An ayurvedic practitioner can prescribe new lifestyle and diet choices which are appropriate to you. Lifestyle choices may include how and when you sleep, exercise, eat and drink. A practitioner may advise taking supplements. If unsure about what they do, check with your doctor. Qigong is an ancient Chinese system of physical and mental training for healing and energy. The practice involves making slow movements. As with ayurveda, a teacher will help you how your body can make the most of sleep, activity and your own energy. Mindfulness is a part of Sikhism and Buddhism which promotes awareness of one’s own body in terms of actions, feeling and consciousness. For the purposes of weight loss mindfulness can help you to notice when you are hungry, when you are full, paying particular attention to the food you are eating as well as how you eat it. Mindfulness can be practised anywhere and expanded to cover other areas of your life as well.